Last August, I was running through a pounding summer rain in Georgetown, Washington, D.C., soaked to the bone and aching with hunger. My friend, A., and I were in search of the elusive 3315 M. Street, otherwise known as Kafe Leopold. As our one tiny umbrella danced wildly in the wind, we pushed against the gusts of rain and finally found it: nestled in an alleyway, at the bottom of a long flight of stairs, was one of the best meals I have eaten since moving to New York. Perhaps it was our ravenous hunger that made the food so very good, but I have been dreaming of the truffled grits and elderflower peaches with greek yogurt, pistachio crunch and Earl Grey salt ever since. Launched seven years ago, Kafe Leopold offers an Austrian-Mediterranean menu with an assortment of desserts to rival any self-respecting French or Viennese café. The interior is modern yet comfortable, with clean lines and a light, airy feel, and once you enter, you could be in any European metropolis. 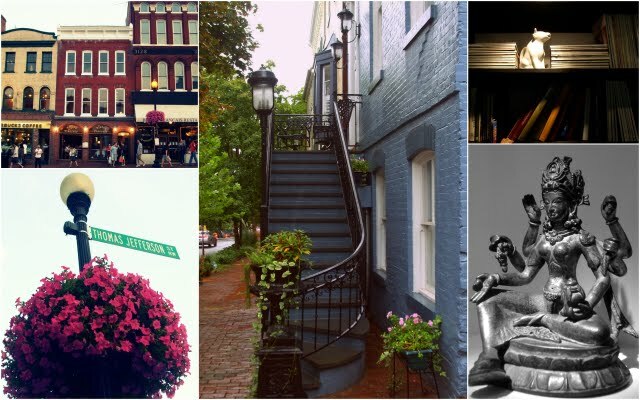 Nestled in the otherwise old-school and romantic Georgetown, it is a welcome breath of (delicious) fresh air. The truffled grits were as simple as can be, cooked in a combination of whole milk and water, with a healthy dose of pepper, garlic and cheese, and just a hint of truffle oil. And the elderflower peaches - oh, what heaven! The textures were wonderfully balanced between the firm yet smooth peaches, creamy yogurt, and crunchy pistachios, and there was just enough salty sweetness for my taste. Sadly, it seems that both the grits and peaches are no longer available, but if the rest of the dishes on the menu are as delicately balanced in flavor and texture, you'll walk away a happy diner. Georgetown has also cornered the D.C. cupcake market, but please skip Georgetown Cupcake and head straight over to Baked and Wired, GC's more laid-back neighbor, where you will find a wide assortment of flavors, moody music (think Radiohead), paintings by local artists, and overall a very Northern California feel. In addition to the classic flavors, they feature seasonal cupcakes, like lemon-blueberry, and their knowledgeable staff members can help you settle on the perfect choice if you feel lost. Baked and Wired also serves direct trade coffee, freshly ground when you place your order, which comes in very handy when you are in a post-cupcake coma. Apart from experiencing the D.C. food scene, my favorite thing to do in the city was to explore the Smithsonian museums, and I especially enjoyed the surprisingly underrated Freer and Sackler Galleries, where I found myself standing in virtually empty rooms. The Galleries showcase the Smithsonian's Asian art collection, and while they are small compared to other museums, they are well-curated and include such gems as the Peacock Room. 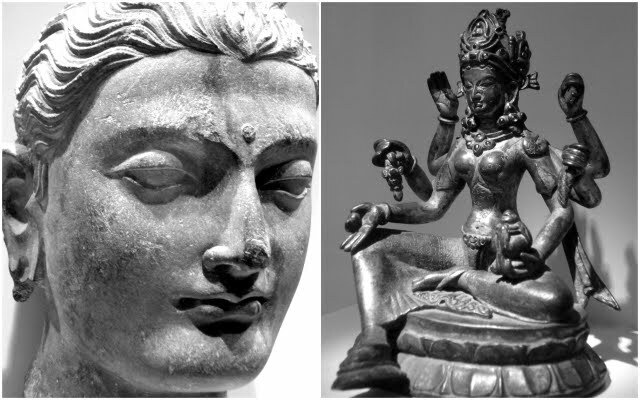 The Victoria and Albert Museum in London gave me a deep appreciation for Asian art, and it was such a pleasure to wind my way through the exhibits, the soft hum of air conditioning and my footsteps the only sound in the galleries. If you do visit the Freer and Sackler - please do! - then don't miss the beautiful Moongate Garden, located next door. It is a place for quiet reflection, where you can take a momentary pause in the mad rush to see and experience all that D.C. has to offer. One of the many fascinating plants in Moongate Garden. My only regret in visiting this ever-evolving city is that I had so little time to see it all - but as Pipi Longstocking once famously said, "If you don't go home, you can't ever come back." Oh yes, please do try Kafe Leopold, Louisa, I'm sure you'll love it! And enjoy D.C.! It's a small city compared to New York but there is so much to explore. Thanks, Radina! Your blog claim has been approved. Now your Urbanspoon profile picture is displayed on your blog page. You can upload a blog-specific photo if you prefer, and can change a few other blog settings there. Also, if you vote for a restaurant that you've reviewed on your blog, we now show your vote next to your post everywhere on our site.